Point2 Homes gives you far more than a simple list of houses for sale. Get instant access to a lot of relevant information about Osoyoos, BC real estate, including property descriptions, virtual tours, maps and photos. The search results pages also have a wealth of information on Osoyoos, BC, if you scroll all the way down. 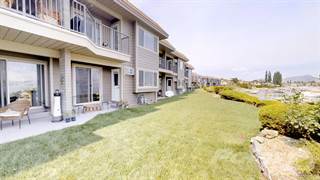 There are 301 houses for sale in Osoyoos, BC. 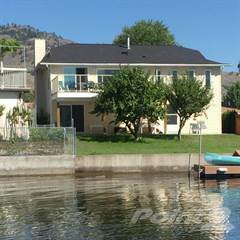 Searching homes for sale in Osoyoos, BC has never been more convenient. 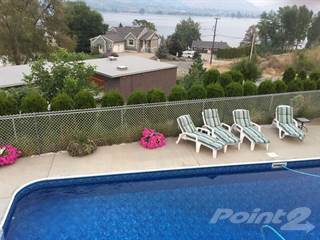 With Point2 Homes, you can easily browse through Osoyoos, BC single family homes for sale, townhomes, condos and commercial properties, and quickly get a general perspective of the real estate prices. Also, you’ll never miss a bargain if you filter listings based on house price drops in the past six months. Use the map view to find Osoyoos, BC homes and apartments for sale, based on amenities or city features that you may want close by. You can close in on a specific neighbourhood or area by simply drawing around them with the polygon or radius tools. Stay informed about the latest entries on the real estate market by saving your searches. This way, you get new listings in your inbox, daily or every week, based on your preferences. If you’d like to get in touch with a professional, agents are displayed next to their listings, and they’re easy to contact through the online forms. If you want more options, you can click the Tools tab and Find an Agent, and you’ll get a list of helpful and knowledgeable real estate agents in Osoyoos, BC. Visit the Point2 Homes blog and you can find up to date expert advice on many markets throughout Canada, regular market reports, neighbourhood scoops in cities throughout the provinces, real estate deals and useful recommendations. Located in the southern portion of the province near the Canada/US border, Osoyoos has a population of over 5,000 people. The town bridges the western and eastern shores of Osoyoos Lake and is close to the communities of Oliver, Fairview, Inkaneep, and Bridesville. Osoyoos covers 8.76 square kilometers and is the southernmost town in the Okanagan Valley region. Two major highways run through the town, one of which travels south to the US. Osoyoos’ western section is home to the Osoyoos Airport, the Osoyoos Golf Club, an off-leash dog park, a visitor centre, several bed and breakfast operations, and some residential areas. The Crowsnest Highway passes through the northern part of this section. The central section of Osoyoos includes the downtown area, which offers restaurants, a library, an art gallery, retail stores, churches, an arena, and more densely populated residential areas. This section also includes park space, a small lake, and beach areas along the shore of Osoyoos Lake. In the eastern section, resorts and campgrounds are common along the shore of Osoyoos Lake. A golf course, heritage centre, marina, and amusement park can also be found here. Restaurants and other amenities are located along the Crowsnest Highway, which runs through the centre of this section. Residential areas and park space are scattered throughout. Haynes Point Provincial Park is located immediately south of Osoyoos and is managed and operated by the Osoyoos Indian Band. The park is a popular location for camping, canoeing, cycling, hiking, fishing, wildlife viewing, swimming, picnicking, and waterskiing. A marsh area in the park is home to a variety of species, including bats, owls, toads, turtles, salamanders, and a variety of plant life. Golfing is a popular recreational activity, and the town has two courses to choose from: Osoyoos Golf Club on the western side of Osoyoos Lake, and Sonora Dunes Golf Course on the eastern side of Osoyoos Lake. Nk’Mip Desert Cultural Centre is a tourist destination that includes indoor and outdoor nature and cultural exhibits, a guided interpretive trail walk, an educational presentation about snakes, and dancing/singing/drumming performances. The centre also has a sweat lodge, outdoor sculptures, theatres, and a gift shop featuring First Nations crafts, jewelry, and giftware. Major industries in Osoyoos include tourism, viticulture, retail, film, logistics and warehousing, aerospace, agriculture, and construction. Osoyoos has a type of climate that makes it an ideal location for winemaking, which employs people for all aspects of production, including growing, picking, producing, and retailing. Other than grapes, there are a number of other fruits grown in the area, including apples, cherries, plums, peaches, pears, and apricots. Business and economic development support in Osoyoos is provided through Destination Osoyoos’ Community Business Readiness program, Community Futures Development Corporation, and Accelerate Okanagan. These services help to grow, promote, and support new and existing businesses in the area. Condos and single-family homes are most common in the western section of Osoyoos. Single-family homes are either large new builds that come at a high price, or slightly older homes that are somewhat more affordable. Luxury-style homes tend to be built on large lots with attractive landscaping. Pricey vacant lots are available in the northern part of this section. A mix of new and old single-family homes, and high-priced vacant lots are available in the town’s central section. A number of commercial options can also be found here, and vary in price depending on size and type of building. In the eastern section, large luxury homes and more affordable condo options are most common. There is also plenty of vacant land available here. Osoyoos has a number of schools, including Osoyoos Elementary Preschool, Osoyoos Secondary School, Good Shepard Christian School, Okanagan Similkameen Outreach School, and Osoyoos You Learn, most of which are operated by School District No. 53 (Okanagan Similkameen). Other options can be found in Oliver and include Southern Okanagan Secondary, Oliver Elementary School, Tuc-El-Nuit Elementary, and SenPokChin School. The town’s only post-secondary option is Sprott Shaw College (Osoyoos campus), which offers programs in addictions counseling, health care assistance, hospitality management, medical administrative assistance, nursing, global business management, and sales and digital marketing. Okanagan College is located north of Osoyoos in Oliver.